There are just some pieces of jewelry out there that have the ability to change the way you view the world. People will be begging you to tell them where you bought this stunning jewel of gorgeousness. 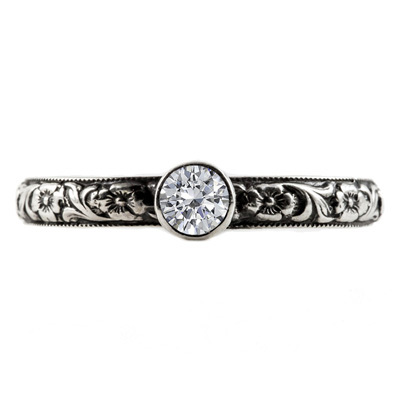 The expert jewelers at Apples of Gold has done it again with this vintage style ring. The stunning white topaz gemstone paired with polished sterling silver is a match made in heaven. 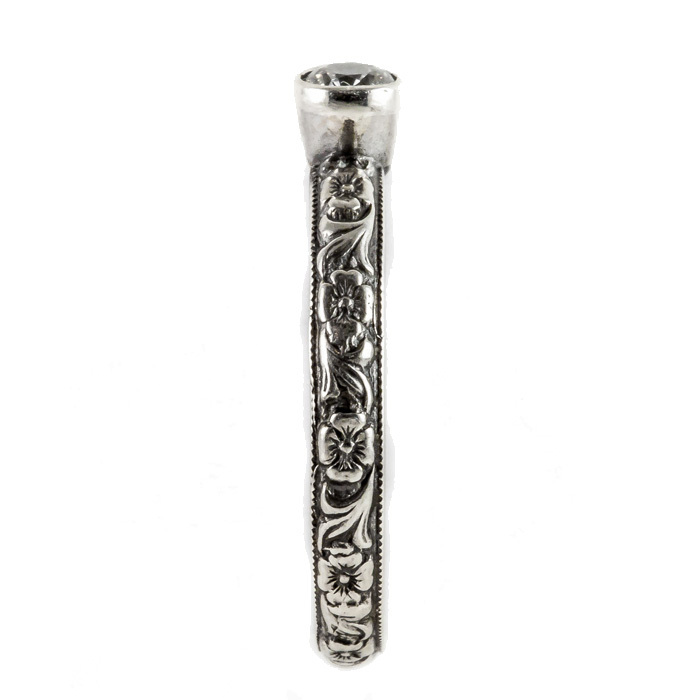 The paisley and floral details in the sterling silver band are like nothing you have ever seen. Measures 4mm and ready to ship to your home today. Just imagine, you could have this life changing sterling silver ring on your hand tomorrow. We guarantee our Handmade Paisley White Topaz Engagement Ring, Sterling Silver to be high quality, authentic jewelry, as described above.